We all know the facts and stats around the Capital's Round 2 loss. We all know that the Capital's haven't been passed the 2nd Round since 1998. We all know that the Capital's haven't beat the Penguins in a playoff series since 1994. We all know that the Capitals have lost 7 game 7's since 2004. It's the fact that the Capitals put all of their chips in for this season. Cup or Die 2017. Now I'm going to gloss over the "die" part. The Capital's don't have a pick until the 4th round this year. You can make a fair argument about the alleged weak draft this year but when you can't resign most of your team for the next season you have to count on your talent pool to replace those players. The Capitals have $10,298 of cap space as of this writing. Not $10,000,000 ... $10,298. They will need to fill 12 roster spaces this summer with ~ $15.075m of cap space to work with. These are just wild estimates but it accurately shows how bad a place the Capitals are in this summer. I have no idea what the Capitals will do this summer with their roster but I will look on in sadistic happiness. They will be paying Brooks Orpik 5.5m until he is 38! Buying him out will cost 2.5m against them! 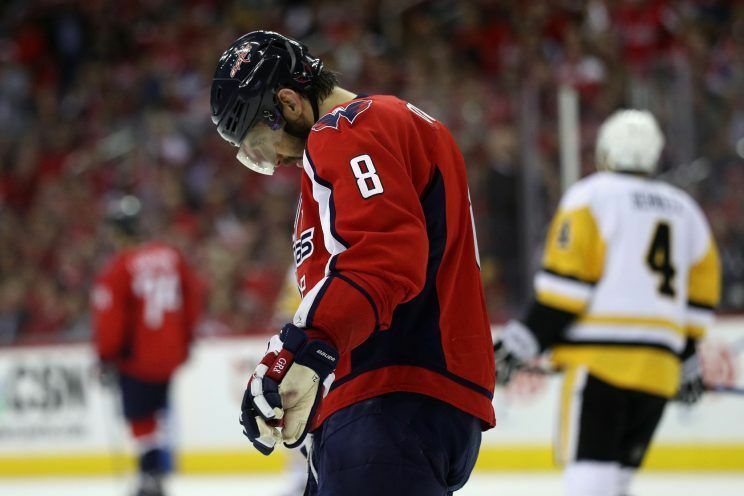 I don't see any light at the end of the tunnel for the Capitals. The team will still have Ovechkin until 2020-21 and Backstrom until 2019-20. That's not a "core" group you win anything around. As time moves forward and the Capitals become the "dad at the frat house" level of cool, continue to Rock the Red, and Ten Leonsis masturbates to his decade-old Ovechkin Topps card. The Capitals will stay the NHL's punch line of failure and underachievement. The Stanley Cup dream (however impractical) died in 2017. This did not age well. Haha.